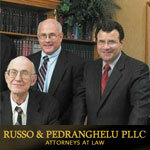 The Legal Team at Russo & Pedranghelu Can Help If You’ve Suffered a Personal Injury or the Wrongful Death of a Loved One. Call 1-800-ATTORNEY. The legal team at Russo & Pedranghelu has served the Long Island community with pride since 1976, making them one of the fixtures in the area with nearly forty years of legal experience and service to the community. In that time their legal expertise has helped many victims of injury resolve their cases with generously positive results, giving them some comfort when dealing with an injury that may have them unable to perform their normal daily functions for a while. At the Long Island law firm of Russo & Pedranghelu — located in Hicksville, New York — our attorneys draw upon their vast experience and in-depth knowledge of the local legal community to advocate for clients in a wide variety of matters. Our clients know that when they hire our firm, they will receive high-quality legal representation. The quality of our representation is made possible by our extraordinary team of lawyers and support staff. 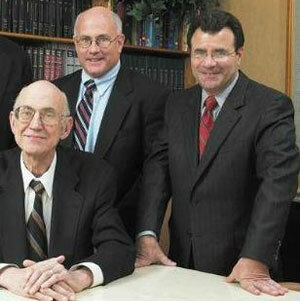 Several of our attorneys currently hold or have previously held prominent positions within the local legal community.Assisting Clients With Legal Matters in Several Key Areas Our well-rounded legal practice encompasses many of the areas where Long Island residents most commonly need helpful and compassionate assistance and powerful legal advocacy. Whether you are looking for a Long Island personal injury attorney, criminal defense lawyer, or law firm to assist you with any other legal matter, please call 1-800-ATTORNEY for more information or to schedule a free initial consultation with one of our experienced lawyers.